1. Commencement—This urgent instruction takes effect on 1 June 2016.
any charger supplied for use with a LumaDent battery pack. This urgent instruction does not apply to a LumaDent battery pack if the battery pack is charged by a charger capable of preventing overcharging of the battery pack, and holds a valid supplier declaration of conformity in accordance with Regulation 83 of the Regulations or is a registered EESS product in accordance with Regulation 83A of the Regulations. supplied by the manufacturer of the LumaDent battery pack and listed on the battery pack as being the correct model of charger to use with the battery pack. Battery packs must not be charged for a period exceeding one hour. Battery packs may be recharged only once the battery is considered discharged. The power supply to the battery pack must be used through a timer circuit or outlet that only allows the battery pack to be charged for a period of one hour. This timer circuit or outlet must be installed, and verified weekly, by an electrician, or a person authorised by the hospital to install or maintain hospital electrical equipment, as applicable. Battery packs must not be charged in an operating theatre while the theatre is in use. A person, other than a patient, must be present in the room where the battery pack is being charged while the battery pack is connected to the power supply. The battery packs are designed to be connected to a head torch. They may be in use in hospitals by surgeons. 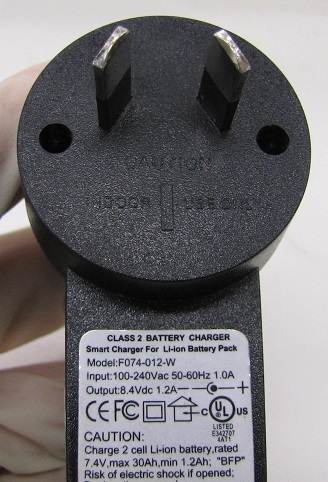 They may have been supplied with a charger Model SW-084120 or similar. They may have been sold in New Zealand by Carl Zeiss (NZ) Limited. They may have been imported directly into New Zealand by users. They may have a plastic body. They may have a clip on the rear to enable the battery pack to be hung on a belt or head band. They may have a silver coloured label on the battery pack. They may have an on/off switch. They may have a knob to adjust the lamp brightness. They may have a plug designed to permit a charger to be connected to the battery pack. They may have a label indicating the voltage is 7.4V. 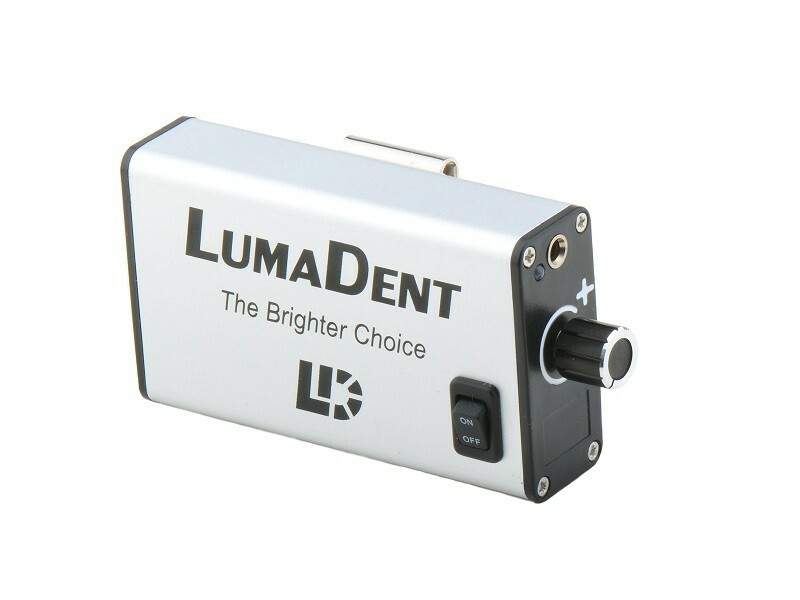 Chargers are designed to be connected to a LumaDent battery pack. They may have been supplied with a LumaDent battery pack or head torch. They may have two pins to connect to a New Zealand power socket. They may have wording similar to “Class two battery charger”. They may have a wire exiting the bottom of the housing. They may have markings indicating “CE”, “FCC”, “Double insulated” and “UL”. They may have a caution message on a label. They may have an LED on the housing.